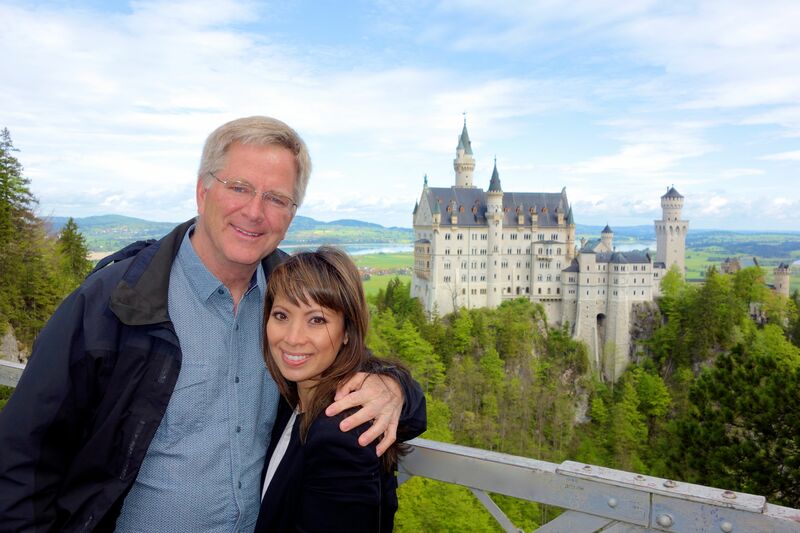 For 21 days, Rick and I are tour members on one of his own tours: the Best of Europe. We’re trying to combine vacation with quality control and research. And it’s going great! 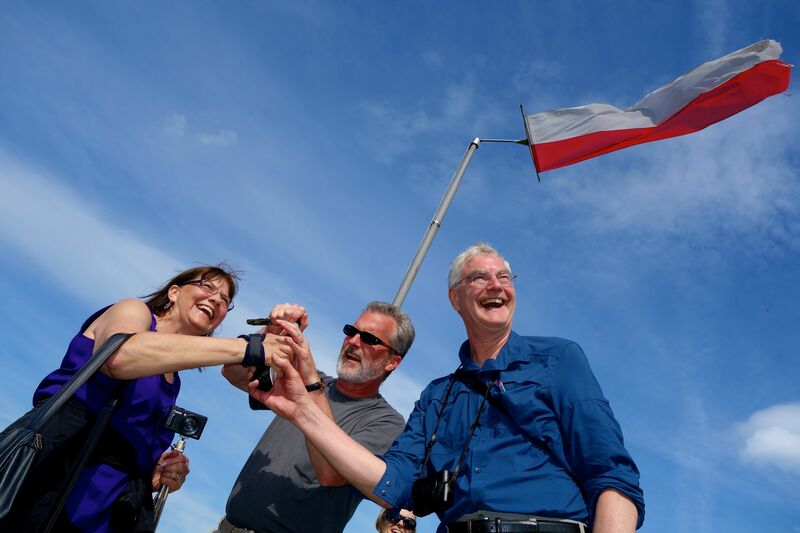 Join us as we traipse from the Netherlands to Germany, Austria to Italy, and Switzerland to France with a terrific tour guide and 26 wonderful fellow tour members. Everyone loves a good castle: romantic ones, ruined ones, humble ones, and over-the-top ones. Germany and Austria are rife with them–vestiges of a time long ago. 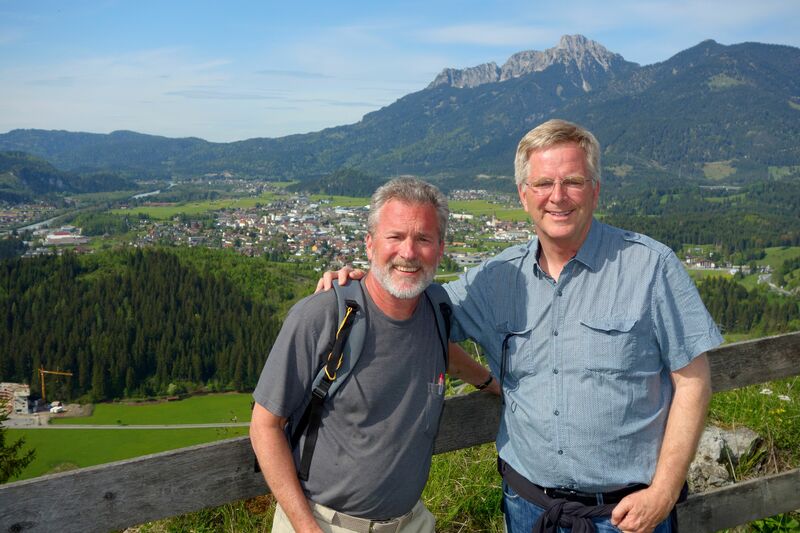 Rick and I enjoy the majestic views onto King Ludwig’s Neuschwanstein Castle. Germany’s most well known castle is Bavarian King Ludwig II’s gem, Neuschwanstein (New Swan Stone). Built in the late 1800s, it’s the epitome of Romantic, Neo-Gothic architecture–über pointy and over-the-top elaborate. In a time when Germany was not the Germany we know today but rather a hodgepodge of dukedoms, princedoms, and kingdoms within the Prussian Empire, its various rulers looked to the Middle Ages for architectural, artistic, and political inspiration to lend credence to their own power and legitimacy. They embraced ancient legends and wove them into their own realities through architecture, decoration, and even music. As a dear friend of composer Richard Wagner, Ludwig had rooms designed with murals depicting the stories of Wagnerian operas. He even had a performance hall constructed specifically to stage private productions of Wagner’s musical creations. 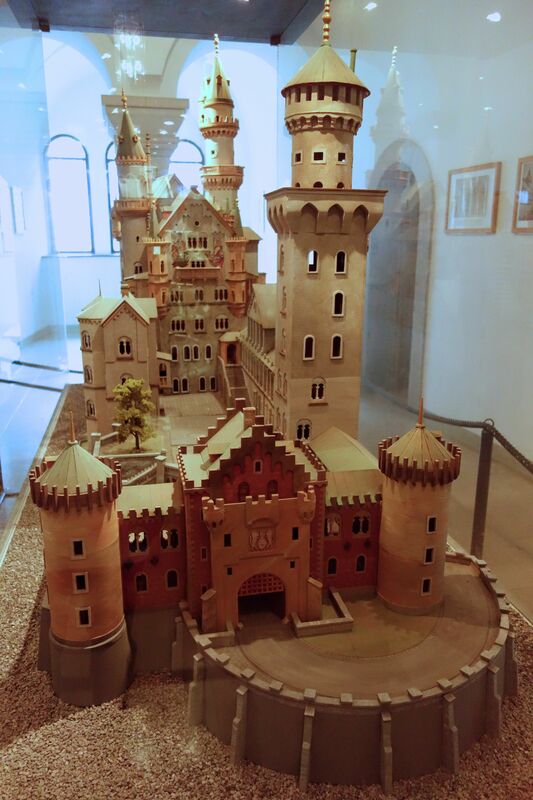 This model shows the original architectural plans for the “Mad” king’s fairytale castle. This extravagant castle, and several others that Ludwig built, nearly bankrupted his kingdom. People said he was crazy for spending so much money on silly castles and ignoring the needs of his countrymen. He was declared insane and was eventually dethroned. In a strange set of circumstances that are still unsolved, “Mad” King Ludwig and the psychiatrist who declared him insane were found dead, face down in the water. The irony is that these days, this fairytale castle that nearly bankrupted Bavaria brings in about €14 million annual in ticket sales. 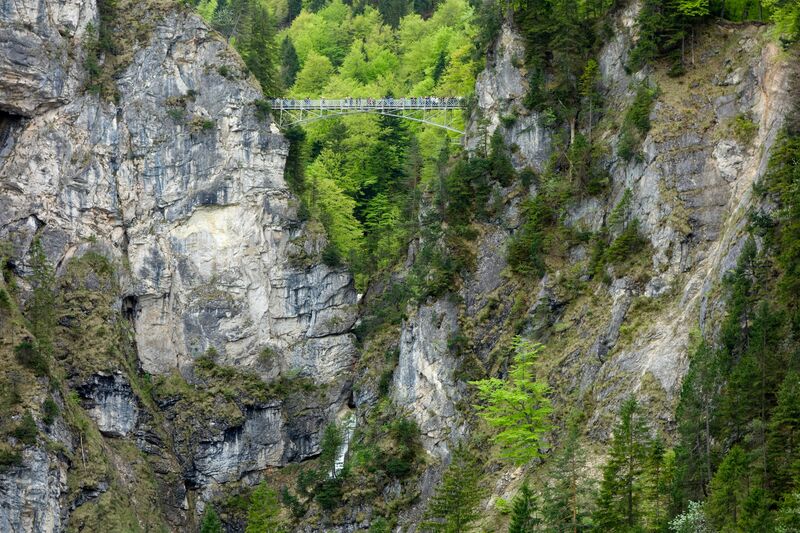 One great view from the castle is to Marienbrücke or Mary’s Bridge, which looms mightily over a waterfall, waaaaaay down below. On our Best of Europe in 21 days tour, our group contributed to the country’s income by touring the castle. Grand rooms housed grand furniture, grand gifts from other royals, and many other knick-knacks suitable for a grand ego. While this wouldn’t be my Home and Gardens cup of tea, I can appreciate how a ruler’s need to display his wealth and power in such tumultuous times would drive a man to this kind of low ostentation. The views of the castle and views from the castle onto Mary’s Brook Bridge are more to my liking. 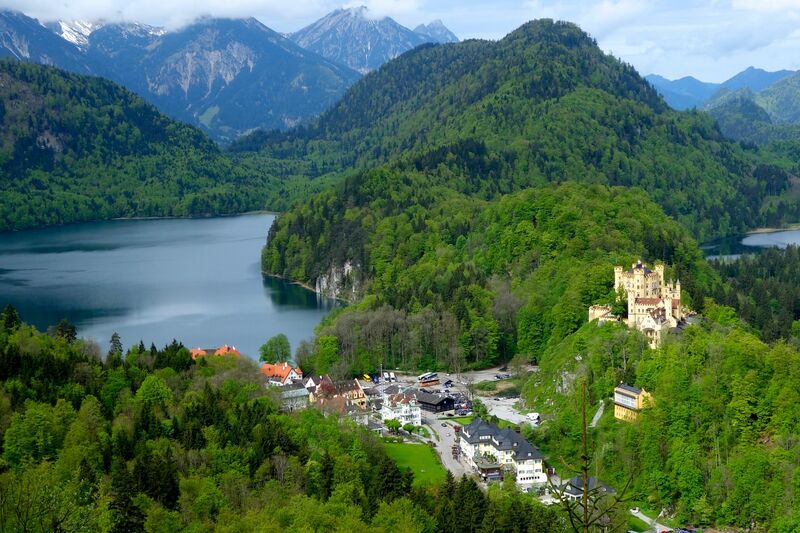 Hohenschwangau was Ludwig’s childhood home and an inspiration for his own castle creations. From Neuschwanstein, Ludwig could look down on his childhood home, Hohenschwangau (High Swan District). Not nearly as fantastical, but still of the Romantic era, it’s an interesting visit to pair with Neuschwanstein to try to understand how Ludwig’s delusions of grandeur were probably influenced by his upbringing and his own parents’ lifestyle. The ascent is slow, but you could actually fly out of the track if you luge too fast downhill. After a double-castle day, we headed out for a brain-break, some fresh air, and some thrills. Nearby is a luge run, which, I’ve been told, is much less dangerous than the place Rick used to take his tour members back in the good ol’ days. 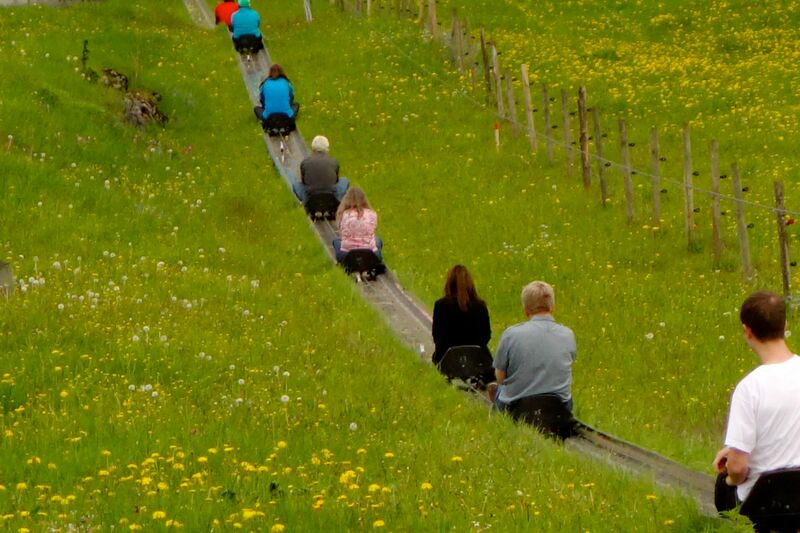 Still, careening down a luge at what feels like break-neck speeds can be daunting to some. But if you stay focused, keep your head low, and remember that you engage the brake by pulling up on it, all should go well. 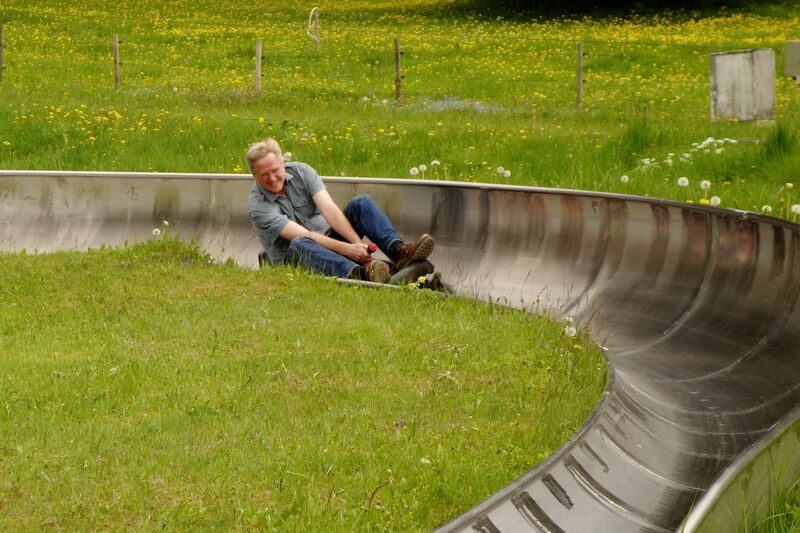 Rick is a real luge-lover, and it shows on his happy face. There were many brave souls in our group, but my favorite thing was to see Rick’s face all aglow as he embraced his invincible inner child and serpentined as fast as he could down that run. Still having a whole afternoon of free time ahead of us, Rick and our guide Reid suggested (to those who still had some stamina and energy) visiting one more castle: Ehrenburg, just over the border in Austria. 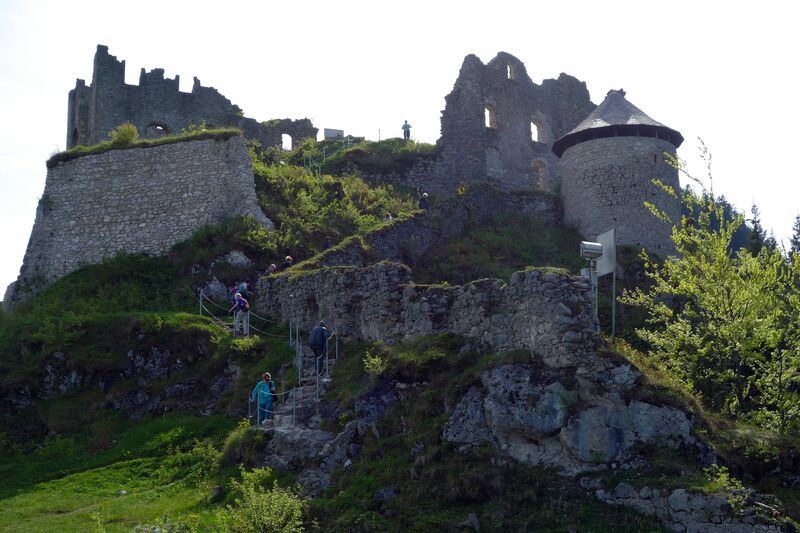 Storming the castle at Ehrenberg. With a clear sky as backdrop, a gentle breeze, and a lemon yellow sun, we climbed steadily from the valley floor to the 13th-century castle in ruins. It was steep and a challenge for even the hardiest in our group, but we made it! Thanks, Reid and Rick for bringing us up to this amazing 13th-century castle! And the rewards were plenty: ice cold beer (courtesy of Reid–and me as his Sherpa), picturesque views of the surrounding valleys and mountains, and the chance to climb through and all over this 700-year-old Medieval fortress. And the best part was that we had the place to ourselves–no crowds, no entrance fees, no photo restrictions. We ruled Ehrenburg Castle that afternoon, simply because we took the initiative to do so. It was a real Back Door experience. Terri, Reid, and Dave celebrate their successful climb to Ehrenburg Castle with an ice cold Stella. I think I would have made a great knight. To round out our visit, we popped into the museum (€3) back down at the bottom of the castle’s hill. It had enough information to be educational and enough videos and interactive displays to make it entertaining. Reid and I got into the spirit of things by dressing up as knights of the Middle Ages. 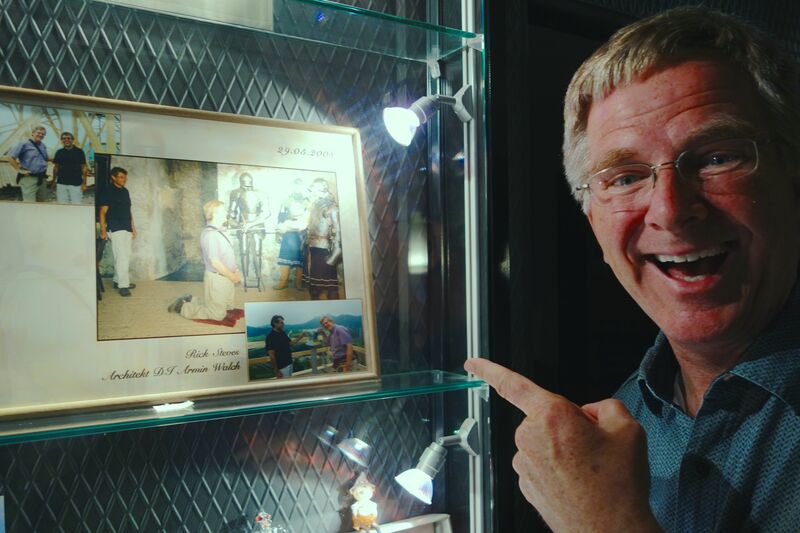 Rick shows us the photos of him getting “knighted” with his own name-engraved sword. 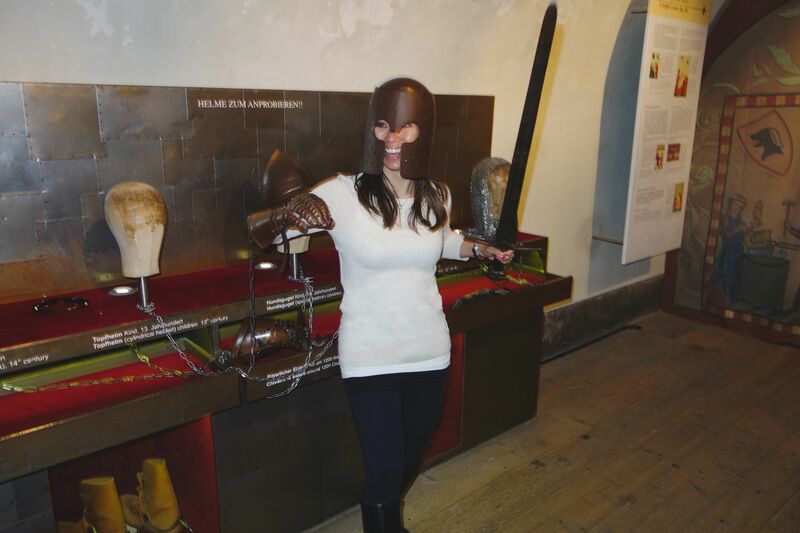 And seeing Rick’s own knight’s sword (he was “knighted” at Ehrenburg in 2008) and young Annaleise as a sword-wielding knight reminded us that it’s easy (and fun) to get caught up in the romance, history and adventure of these amazing castles. 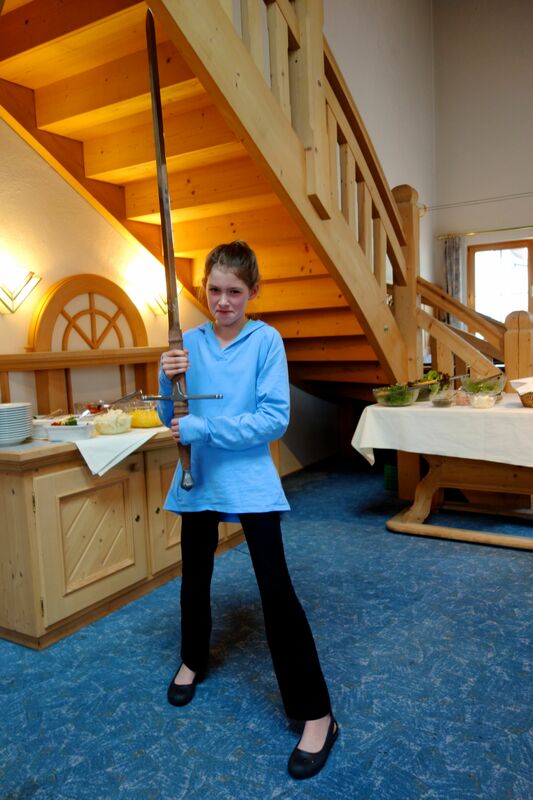 Annaleise would have made a fearsome knight, too. This was one of our best trips. We loved Ludwigs Castle, I must have a hundred pictures from the top to the bottom of the hill! We did do the Luge but that was pretty scary. The day before a Father and daughter from our hotel had just returned from the hospital. They were riding together and some how the car flipped and both broke their arms. So we were not sure what we were in for, but all went well! Aw… thanks for sharing! I made it to see Linderhof last time I visited, but missed seeing Neuschwanstein! (must go back). I didn’t know about the Luge run! How fun and cool is that! Love the photos!